It’s hard to decide what The Beach Boys must have loved more: cars, girls, or surfing. In 1963, though, the band released Little Deuce Coupe, an album comprised of 12 tracks, each about cars. In truth, they weren’t just motivated by a love for rubber and chrome. They did it because Capitol Records – without the band’s input – was working on a car compilation album called Shut Down, featuring “409” and “Shut Down”, plus car songs by other groups. Brian Wilson set to work and cranked out eight new songs, with writing help from disc jockey Roger Christian. 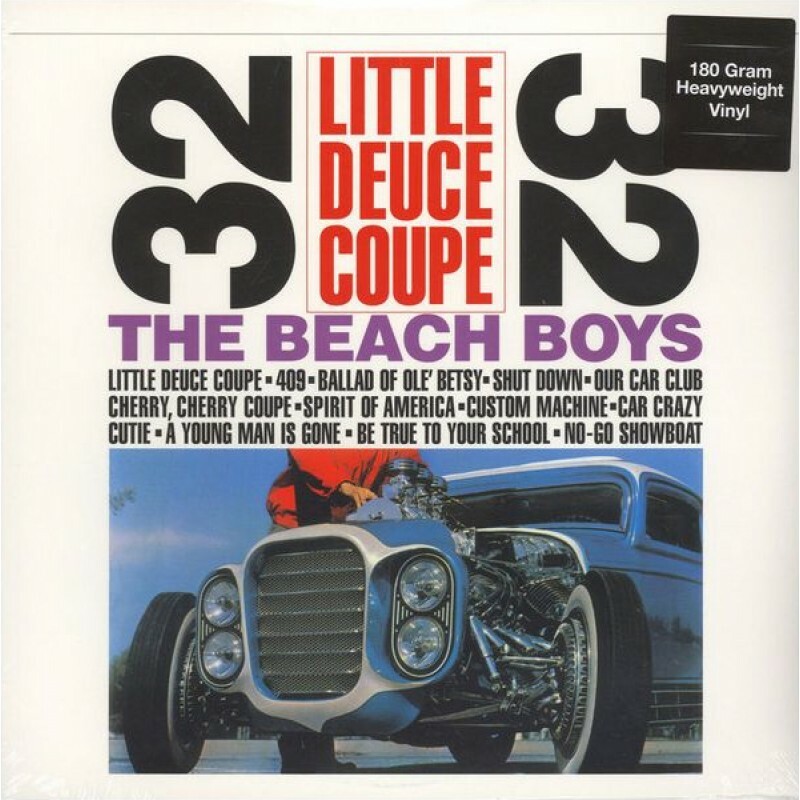 He pulled “Little Deuce Coupe” and “Our Car Club” from previous albums, and thus was born Little Deuce Coupe, an album filled with both dream cars and clunkers, street races, and enough garage talk to make you want to install your own set of naugahyde bucket seats. Cover photo taken from Hot Rod Magazine. All tracks of an albom recorded on each side, but on A-side as stereo, on B-side - mono.